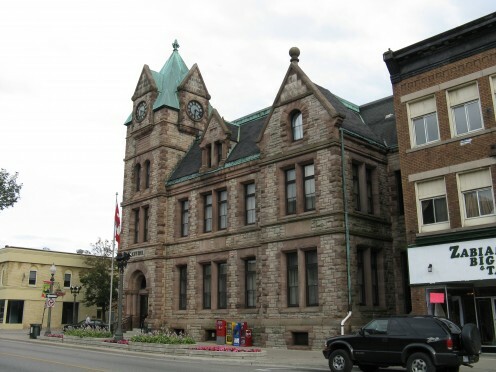 Many examples of Ontario's civic architecture which date from over a century ago were influenced by the Romanesque Revival style (1), and the City Hall, Woodstock, is no exception (2). There is an interesting proviso here, however. The current City Hall was not designated as such until 1968. Prior to 1968, the building now used by the municipal authorities served as a post office. By 1968, the premises of the Old City Hall — as it is now referred to — had outgrown the 1853 structure which still exists (3). The municipality thus moved into the 1901 structure now referred to as the City Hall. This building and its stonework was designed by Bourgue DesRivieres and William Hall Burns (4): both of Ottawa. Features of the Romanesque Revival structures include — as one might expect at a building of this style — stone rustication and Syrian window arches, particularly at the stone tower which has four clock faces atop three storeys. The Syrian arches are more than matched, however, by many square windows. Altogether, the whole gives a strong sense of solidity. Although as a City Hall, its actual municipal usage is relatively young, the building's style thus exudes and impression endurance and historic permanence. 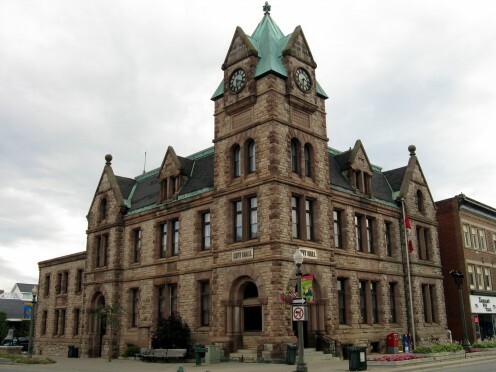 Woodstock's City Hall is executed in sandstone. 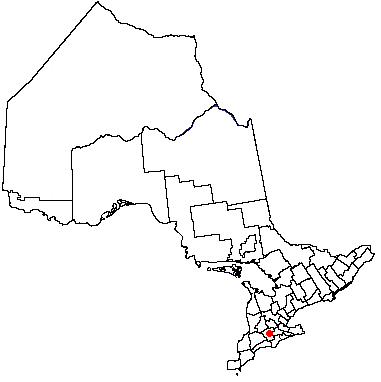 It is located at 500 Dundas Street, Woodstock, Ontario. (3) Now serves as the Woodstock Museum. (4) Other noted work by sculptor William Hall Burns includes work on the Library of the Federal Parliament, Ottawa. Woodstock itself has various examples of fine ecclesiastical architecture, including Old St. Paul's Church, dating from 1834; the Old Armoury is also of note. 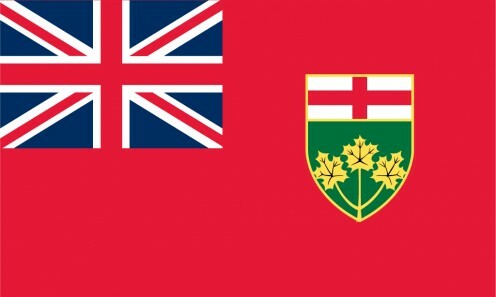 In London , Ontario (distance: 43.4 kilometres) prominent buildings and visitor attractions include: Eldon House; St. Paul's Cathedral; the Middlesex County Court building; the former Armouries; the Fanshawe Pioneer Village. Kitchener (distance: 57.7 kilometres); Woodside, former home of long-serving Canadian Prime Minister William Lyon Mackenzie King is a National Historic Site of Canada. How to get there: Air Canada flies to London International Airport, from Toronto Pearson Airport, from where there are wide North American and other connections. Car rental is available at London International Airport. VIA Rail serves Woodstock , connecting with Windsor and Toronto, and other cities. 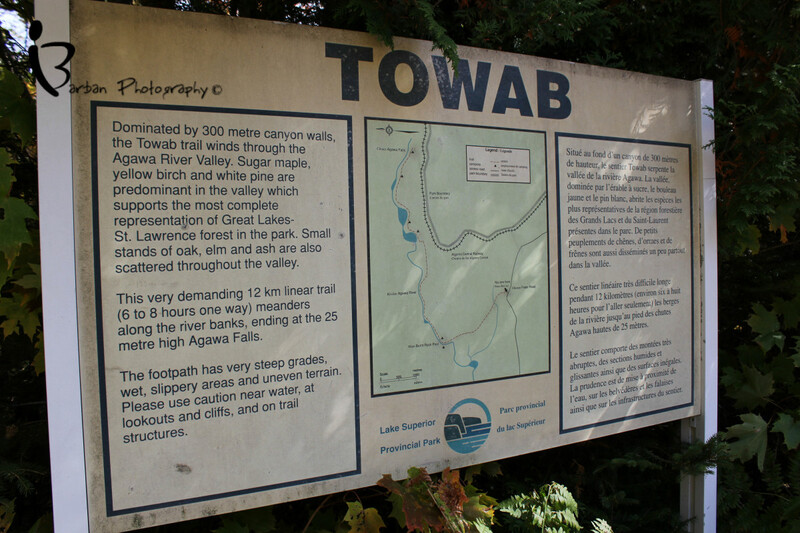 Some facilities may be withdrawn without notice. Please check with the airline or your travel agent for up to date information. Please refer to appropriate consular sources for any special border crossing arrangements which may apply to citizens of certain nationalities. When you go to visit St Paul's Cathedral in London, Ontario, don't expect grandiose competition with its namesake St Paul's Cathedral, London, England. Instead, you will find a pleasing, 19th century structure in Gothic Revival style. Not quite the..
Liz Westwood: Although Quebec has many historic buildings older than would be found in Ontario, Canada certainly has a lot of historic things to see. Thank-you for your comment. This sounds like an impressive building. 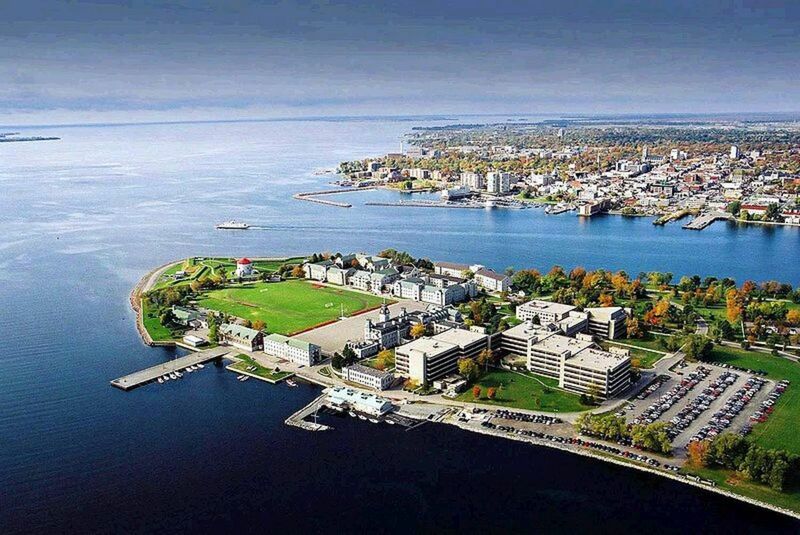 Canada is on the list of places I would one day like to visit.